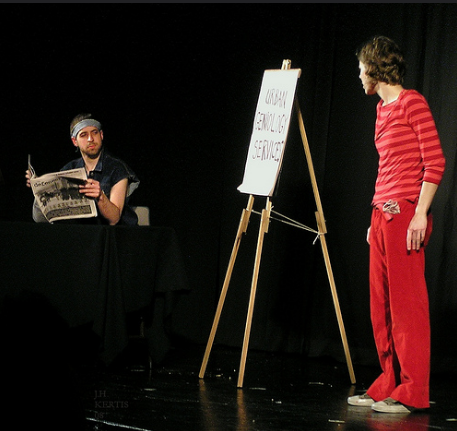 From 2001 to 2008 I created and toured several DIY theatre pieces with puppeteer Eli Nixon. Known for their cardboard storytelling and paper mâché magic, Eli makes "art to reclaim public spaces, to spread real news, to surprise us out of our daily zombiedom with homemade spectacle and celebration." 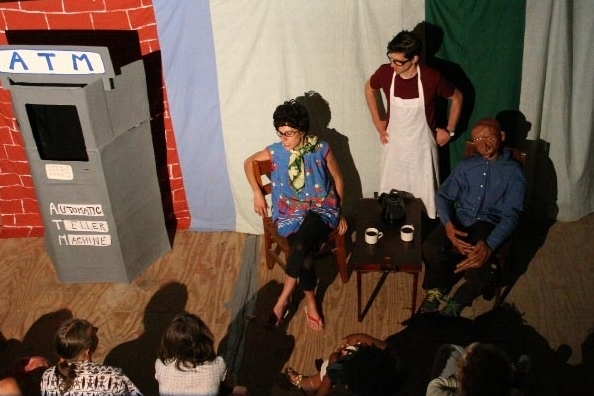 For many years Eli and I also cohosted the Puppet Uprising cabaret series in Philadelphia and the annual Black Sheep Puppet Festival in Pittsburgh. L-R: Mite We? 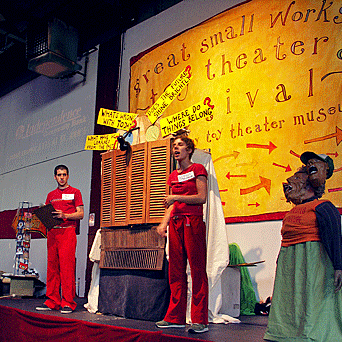 (Philadelphia, 2008), ATM (Baltimore, 2006), on stage at Great Small Works International Toy Theater Festival (NYC, 2005), and performing on WKBS-TV channel 48 (Philadelphia, 2002).